Snapchat today announced that all users can now discover and unlock thousands of user-generated Lenses built by the app’s global creator community with “Lens Explorer.” This marks the first time that Community Lenses will be discoverable alongside the main, Snapchat-created Lenses in the Lens Carousel. 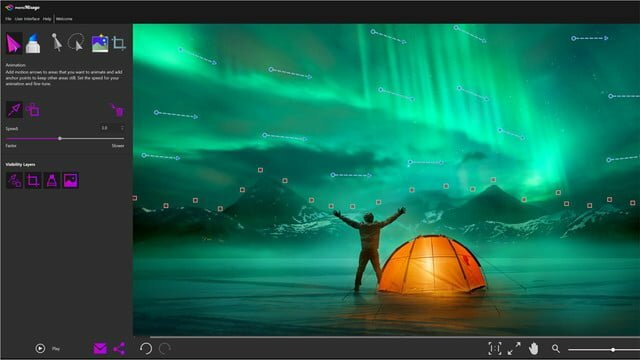 The Lenses found in Lens Explorer are made by creators using Snapchat’s Lens Studio, a desktop app for Mac and Windows that lets creatives and developers build augmented reality face filters and other effects that go to use in the Snapchat mobile apps. Today, the company announced that since Lens Studio launched last December creators have submitted more than 100,000 unique Lenses that have been viewed more than 2.5 billion times. Apple plans to deploy 1Password internally to all of its corporate and retail employees around the world over the next few months, according to BGR’s editor-in-chief Jonathan Geller, who cites an unnamed source. Apple is also using the stand-alone version of 1Password — at first the company considered using the version that includes AgileBits syncing service that routes through cloud providers like Amazon AWS, but Apple quickly decided that wasn’t acceptable. The standalone version of the software lets users sync through iCloud, something Apple is undoubtedly more comfortable with. The report claims 100 Apple employees will start using 1Password through this initiative starting this week, with all corporate and retail employees at the company expected to be activated within the next one to two months. The report also mentioned that “acquisition talks were underway,” although “unlikely,” and AgileBits swiftly denied that claim. Apple employees have already received 1Password for free for several years, so it’s unclear what this “deployment” refers to exactly. Following a demo at CES in January, the VELUX ACTIVE with NETATMO smart skylight system has now launched on the iOS App Store [Direct Link] with HomeKit support. The app pairs with the new VELUX ACTIVE with NETATMO climate control and monitoring system to enable smartphone control and automation of the skylights, costing $295. The company says that this marks the first time that skylights will be able to connect to Apple’s HomeKit platform, allowing users to open or close the skylight in the Home app or using Siri on iOS, Apple Watch, and HomePod. HomeKit support will be available in new VELUX skylights, as well as existing skylights made by the company and enabled through the new app. The skylights include smart sensor technology to monitor CO2, humidity levels, and temperature in the home, which it combines with local weather data to automatically open the skylights if fresh air is needed. This helps create a more comfortable living environment through improved air quality, according to the company. While the VELUX ACTIVE with NETATMO system runs for $295, that does not include the cost of the skylights themselves, or the installation fee for your specific home’s needs. More information on VELUX’s skylights can be found on the company’s website. 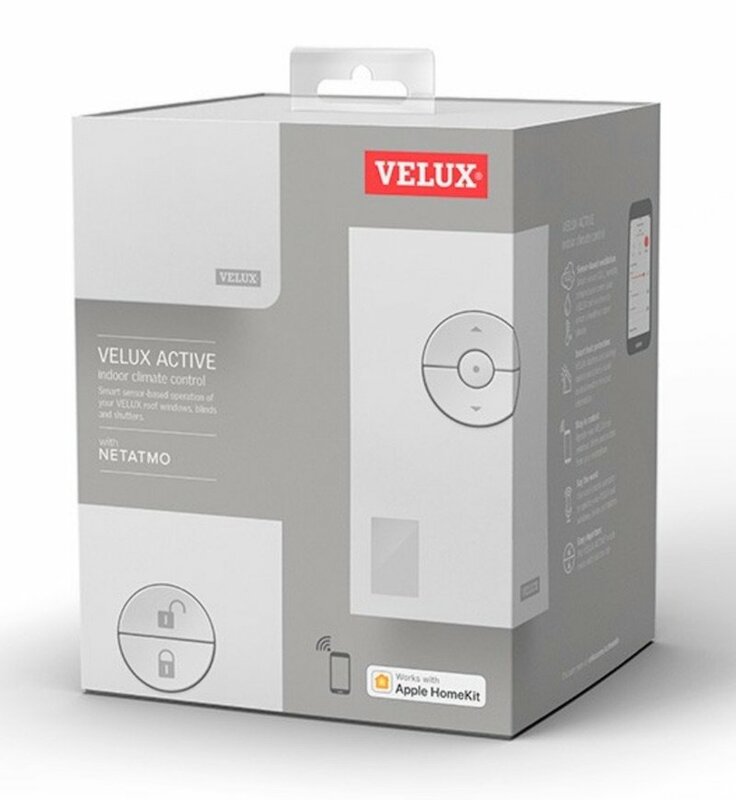 The VELUXE ACTIVE with NETATMO system has an expected ship date sometime later this month. In that case, the iPhone 7 would likely shuffle down the lineup to become Apple’s lowest priced smartphone, taking over the $449 price point currently held by the iPhone 6s, which is also likely to be discontinued in September. It’s worth noting that Donovan and Mullane do not appear to cite any sources behind their prediction, so their guess is as good as anyone’s. We’ve reached out to the research firm for clarification, and we’ll update if we hear back. The two biggest draws of the iPhone SE are its smaller size, suitable for one-handed usage, and its lower price. It’s hard to imagine the device having an iPhone X-esque design at this point without a significantly higher price tag, so we’re more inclined to expect a relatively minor refresh if any. The current iPhone SE looks much like the iPhone 5s, including its smaller four-inch display, preferred by a subset of customers. The device is powered by Apple’s A9 chip, like the iPhone 6s and iPhone 6s Plus, and it has 2GB of RAM, a 12-megapixel rear camera, a 3.5mm headphone jack, and Touch ID. We’d place our bets on a bump in tech specs that brings the iPhone SE internals more in line with the iPhone 8, should the device live on. One of the most unpleasant aspects of smartwatch ownership is having to charge it every night. It’s simply one more thing to remember, and a distinct disadvantage for smartwatches when comparing them to mechanical watches. Mobvoi, the company which brought us the Ticwatch E and Ticwatch 2, has come up with an interesting way to combat this problem. Clever screen technology built into its latest watch, the Ticwatch Pro, pushes the time between charges up to five and potentially towards 30 days. The Ticwatch Pro has two screens, an OLED screen that shows Google’s Wear OS, and a second transparent LCD screen on top of it, which shows the time, date, step count, and battery status. Think of it like an ultra-low energy version of Wear OS’s ambient mode and you’ll have grasped the concept. It’s there to give you basic watch information, without sucking power for when you need the smartwatch features. Ticwatch Pro in Smart Mode with OLED active. Ticwatch Pro in Essential Mode, with LCD active. When the Ticwatch Pro uses both the LCD screen (which Mobvoi says is a Film compensated Super Twisted Nematic, or FSTN, fact fans) and the OLED, two days use is possible. When the power reserves force a low battery warning to appear, you can switch to Essential Mode, where only the LCD panel remains active and Wear OS and the OLED screen are shut down. Even with the low battery the Ticwatch Pro will continue to operate for three additional days. Finally, the Ticwatch Pro will work for 30 days with a full battery charge in Essential Mode, which you can turn on manually. The LCD panel doesn’t have a backlight but is designed to be seen in direct sunlight, and was specifically chosen because it’s totally transparent when not active, allowing the OLED screen’s trademark color and contrast to shine through without hindrance. Likewise when Essential Mode is active, you cannot tell there is a second screen underneath the LCD. It’s a clever mix of screen tech to help solve a smartwatch pain point without major drawbacks. Mobvoi has used the Qualcomm Snapdragon 2100 platform for the Ticwatch Pro, which isn’t best known for its energy efficiency, plus the watch has a heart rate sensor and GPS. Two days use from a single charge is good going on its own from the 415mAh battery. The 1.39-inch OLED screen has a 400 x 400 pixel resolution and is set in a 45mm body that’s 12.6mm thick. There’s 512MB of RAM helping the processor and 4GB of internal storage space. It also has NFC for Google Pay support, and is IP68 rated for water and dust resistance. There are several color options, although on all versions the watch’s body is made from a black reinforced nylon material, and only the bezel and strap colors change. The stainless steel bezel comes in either silver or black, and there’s a choice of a brown or black leather strap, with either a black or orange silicone underside. This increases the longevity of the leather, and stops wrists getting sweaty too. It runs Google’s Wear OS (formerly known as Android Wear) with access to Google Play and the Google Assistant. Mobvoi has also added its own health and fitness app alongside Google Fit. In the future, expect Mobvoi to add more features to Essential Mode through software updates, as all watch sensors are still active. Battery life will suffer; but will likely still extend beyond the two days with Wear OS active. The Ticwatch Pro is available now in the U.S. and the U.K. from Amazon. It costs $250 in the U.S., and 220 British pounds in the U.K., and it will be an exclusive to Amazon Prime members until August 15. After that date, it will only be available on Amazon until September 30. If you’ve got a OnePlus handset, the Open Beta is at least worth a look. 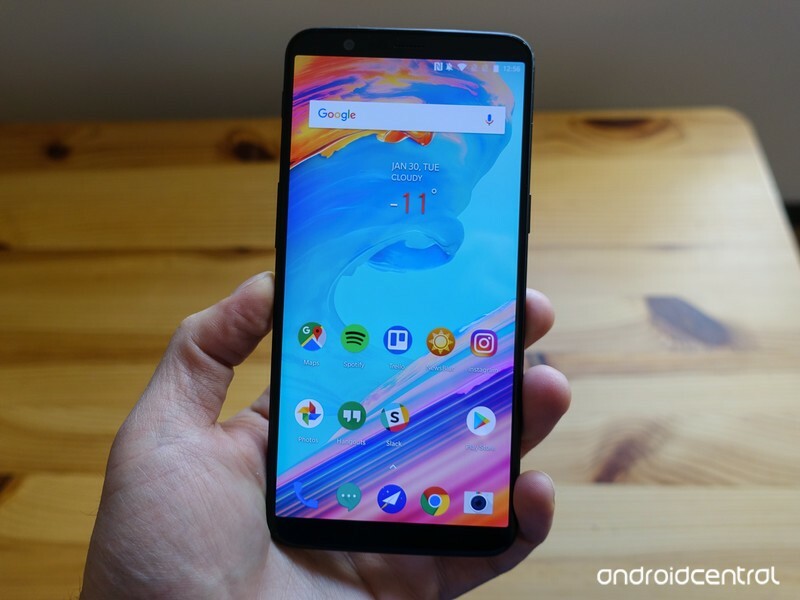 OxygenOS is the custom software that powers all OnePlus smartphones, and if you’re in the market for something that looks and feels a lot like stock Android while offering helpful features and deep customization tools, it’s one of the best experiences around. In addition to the stable build of OxygenOS that ships on OnePlus handsets, users have the option of moving over to the OxygenOS Open Beta. The Open Beta gives you access to new features before anyone else, but as expected, has the potential to come with a few bugs here and there. One of our forum users asked if it was worth switching to the beta, and this is what the AC community had to say. Remember, beta doesn’t mean “you get the new version before anyone else does”, it means “you get the new version with bugs – please report all bugs to us”. We’ve been going through that with Android P for a few weeks now. I have been using the Open Beta’s since almost the beginning of when I got my 5T. I think you will be surprised with the few, if any, bugs you will encounter. Now, we want to hear from you — Are you signed up for the OxygenOS Open Beta on your OnePlus phone? Google’s also confirmed support for boarding passes and concert tickets. When Google announced it was rebranding Android Pay and Google Wallet last year, the transition processes wasn’t quite as smooth as we would have liked. Instead of combining both services into one app, Android Pay was turned into Google Pay and Google Wallet was rebranded as Google Pay Send. Thankfully, Google’s now confirmed that Google Pay Send is being laid to rest and that its functionality is coming over to the main Google Pay app. 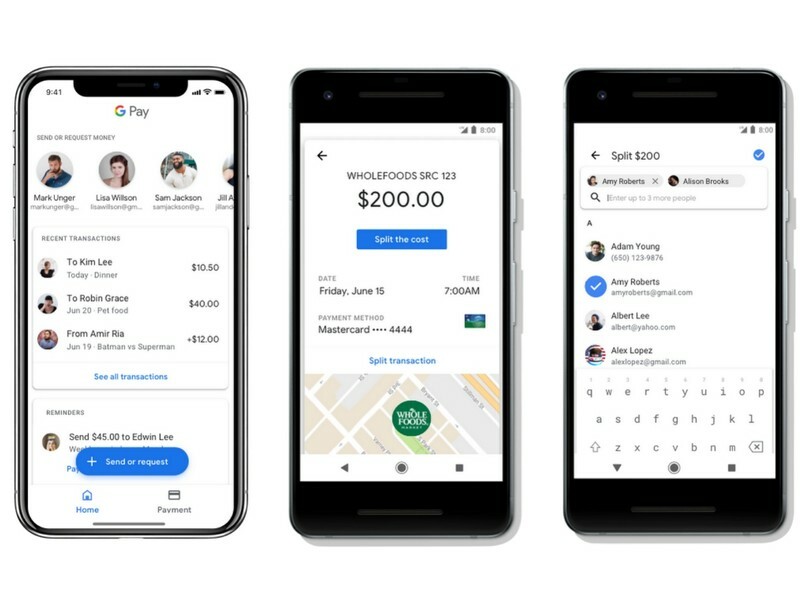 If you live in the U.S., you can now send and request money from your friends and family members right from Google Pay. You’ll see quick shortcuts for sending/requesting funds from them at the top of Google Pay, and if you use the app to pay for dinner or groceries, you can now tap a new “Split the cost” button to instantly request money from your peers. In addition to this, Google’s also confirmed a couple of new features coming to Google Pay. 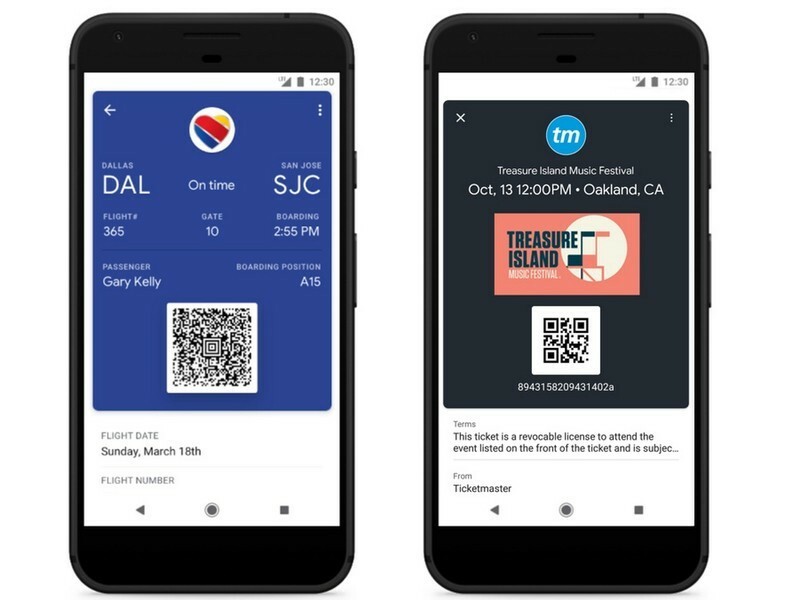 Like we heard about last May, Google Pay now allows you to store boarding passes and concert tickets. When these are saved to the app, you’ll find them alongside your gift/loyalty cards. Samsung’s new Chromebook Plus comes with some big changes for 2018. 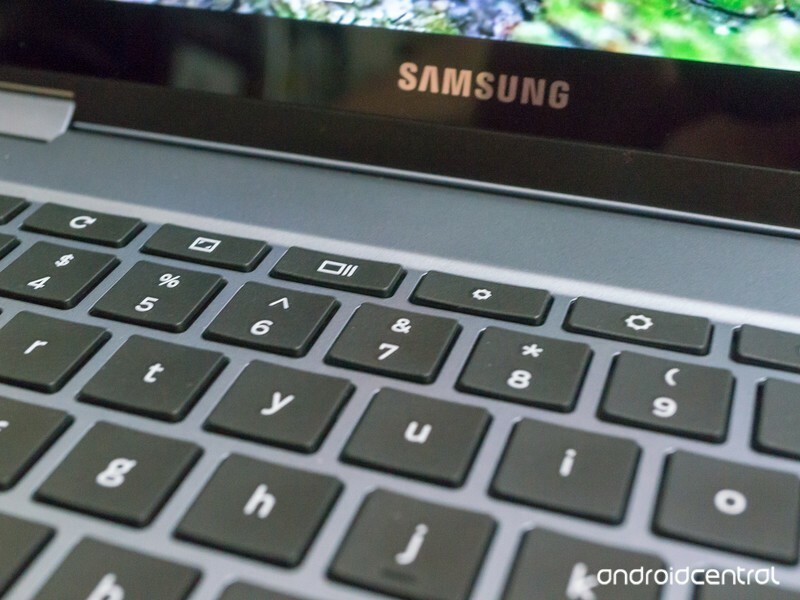 The Samsung Chromebook Plus was 2017’s best overall Chromebook for most of us. It came with enough power to do all those Chromebook things we want to do, a good keyboard and trackpad, an amazing display and best of all, a reasonable price tag. There were more powerful Chromebooks released last year, and there were cheaper Chromebooks released last year. But the overall value of the Chromebook plus couldn’t be beaten. That’s a tough act to follow, but Samsung is used to it — we see them do it every year with their Galaxy line of phones. The company sent me the new Chromebook Plus (V2) to check out and I’ve been using it for a week. Let’s see if the best Chromebook of 2018 isstiill the Chromebook Plus. Bottom line: Samsung’s Chromebook Plus (V2) is a sturdy and great looking Chromebook that brings everything you need — and most everything you would want — to the table and is one of 2018’s best. Samsung carries the great looks and design of the original Chromebook Plus into its successor. The aluminum-alloy body lacks any extra adornment or textures and the minimalist vibes it gives off pair well with the solid feel. It’s thin, checking in at just over .5 inches, but still doesn’t feel flimsy while you have it open. It’s lightweight, solid, and looks great. A secondary characteristic of the aluminum shell is its light weight. The Chromebook Plus is 2.93 pounds, which makes for easy handling when you have it configured as a tablet using the 360-degree hinges. It’s very portable — lightweight and sturdy is an excellent duo in any bag or backpack. Things are a bit different in 2018 when it comes to the dimensions. The V2 checks in at 11.3 x 8.2 x .6 inches overall and the changes are because of a different screen aspect ratio. The 3:2 look of the original is gone and instead we have a more standard 16:10 display. You’ll still find ample bezels for holding it as a tablet and the change isn’t enough to notice much difference in the keyboard area, which has to mimic the lid dimensions. The Chromebook Plus V2 is a well-built machine, and that’s evident as soon as you pick it up. We expect nothing less from Samsung and this year’s model is built as well as last years. The Chromebook Plus V2 has all the ports and connections you’ll ever need. On the right side, you’ll find the power button, indicator light, volume switch and Pen dock, plus the addition of a USB Type-A 3.0 port for all your legacy hardware. 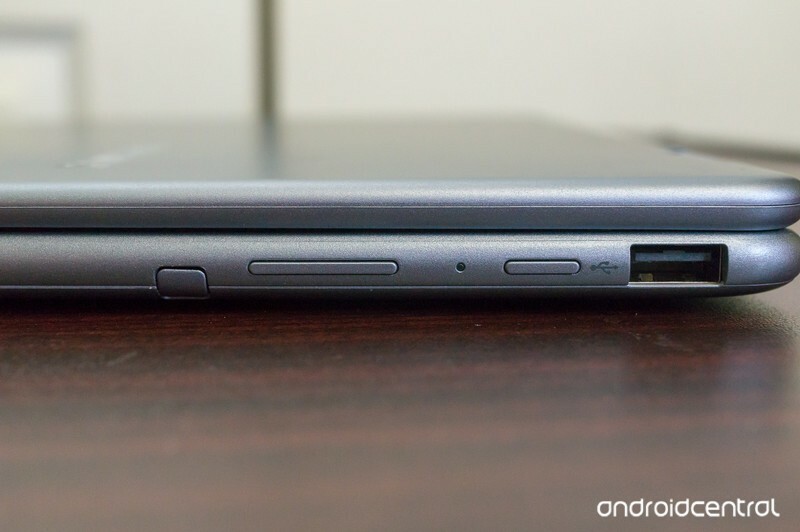 On the left are a microSD card slot, two USB Type-C 3.1 ports and a 3.5 combo audio jack. Because USB C has matured, the two ports also serve as power inputs and outputs and either can carry 4K video and audio out through the proper adapter. 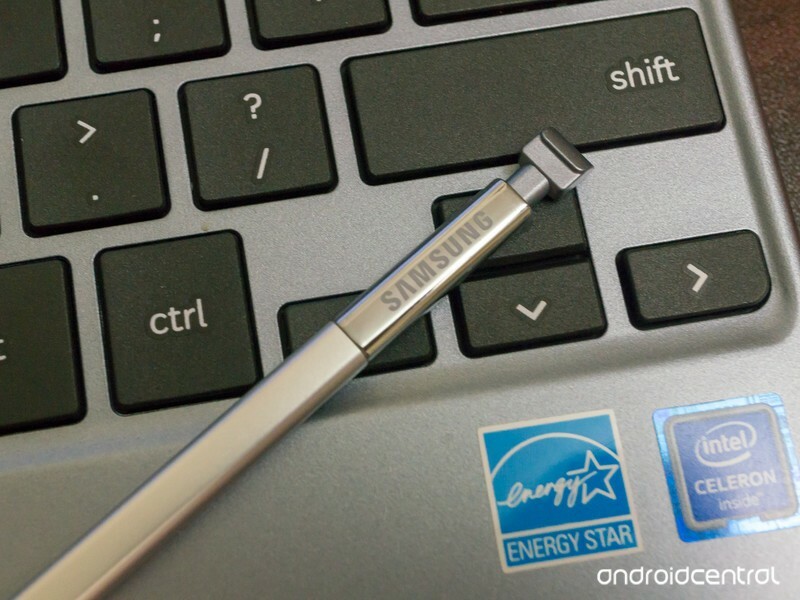 The Pen dock holds the same Chromebook stylus as last year, which means it’s very good. 4.096 levels of pressure sensitivity and full tilt recognition allow for precise drawing or writing and apps like Infinite Painter from Google Play act wonderfully on the 12-inch display. 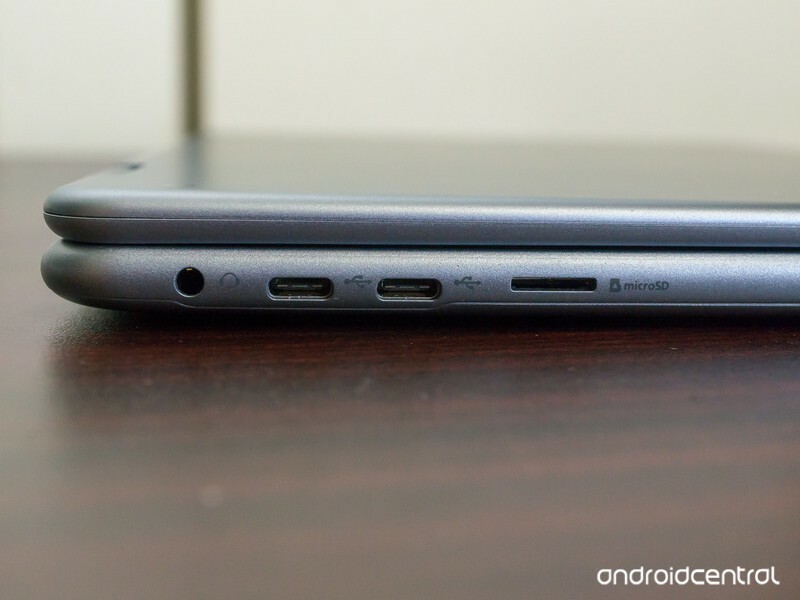 The addition of a USB 3.1 legacy port is a nice touch, and so is leaving everything else here untouched. 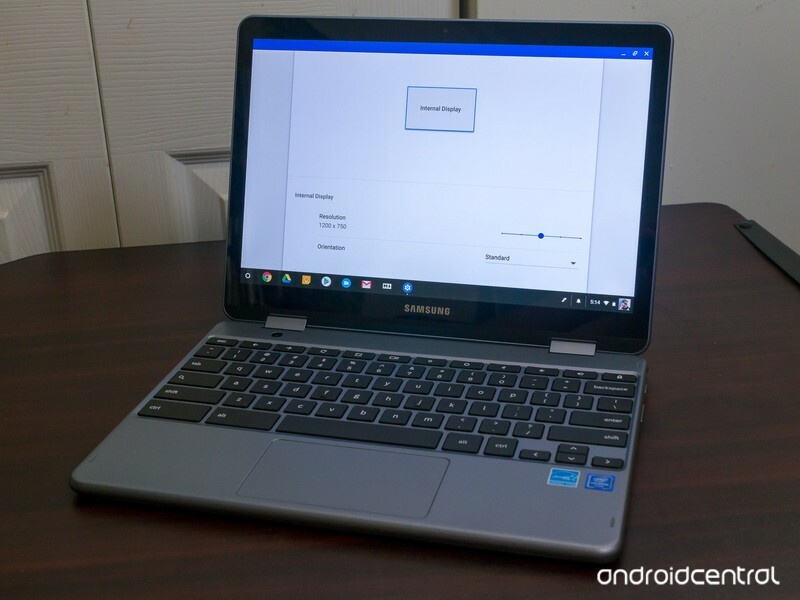 It was great to start with so I’m glad to see nothing was removed when it comes to connecting your Chromebook Plus with the rest of your digital world. They’re not all changes you’ll love, either. It’s not hard to understand why the changes were made: the 2018 Chromebook Plus (V2) is still a great Chromebook at a great price if you want something a bit more premium. Without the changes to the design and components that wouldn’t have been possible. The Chromebook Plus (V2) has “Intel inside” instead of an ARM chip. Technically, Intel isn’t better than ARM and for some uses, it’s actually a worse choice. But Chromebooks in 2018 are not one of those use cases. The 2017 model has a Google-designed OP1 ARM chip that was specially designed for Chromebooks inside the case. 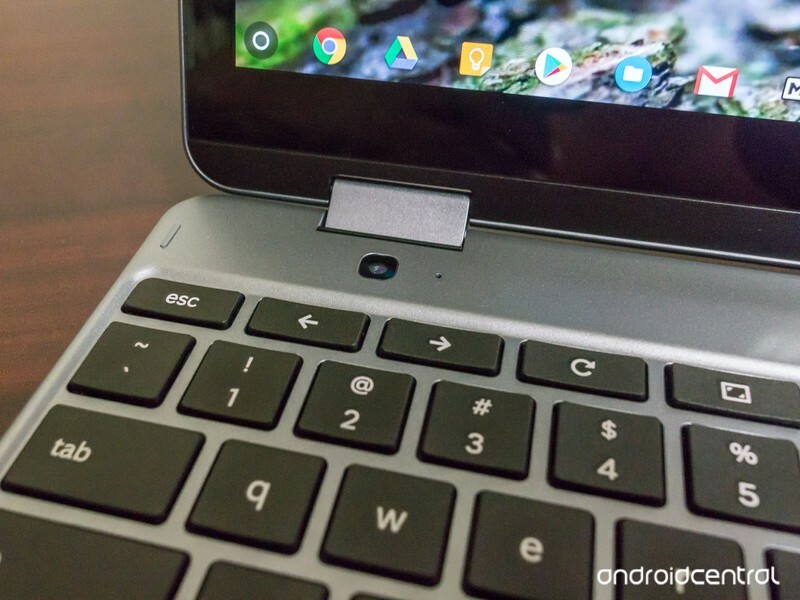 It was more than powerful enough for almost everything any one of us could ask a Chromebook to do, and some of us were excited to see Google working to design a special Chromebook ARM processor. In 2018 though, much of Google’s focus looks to be on the Intel X64 hardware platform. We’re not exactly why, and don’t think that Google has abandoned the idea of powerful ARM Chromebooks in everyone’s hands. But things are what they are. 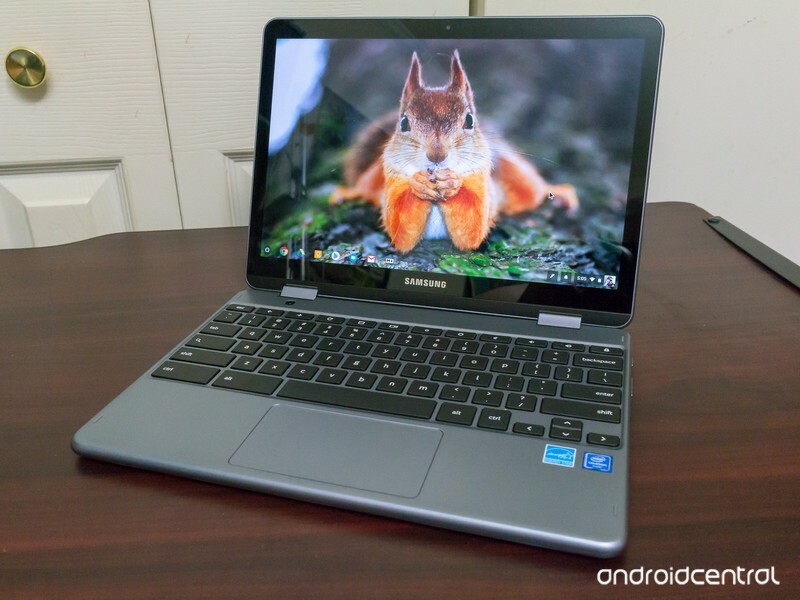 Samsung has put the Intel Celeron 3965Y CPU inside the Chromebook Plus (V2). It’s a 14nm chip built on Intel’s Kaby Lake microarchitecture and was introduced in the middle of 2017. It has two cores that can operate at 1.3Ghz with a TDP of just 6 watts, supports 16GB of DDR4 RAM, and incorporates Intel’s HD 615 IGP Graphics at 300 to 800 MHz. 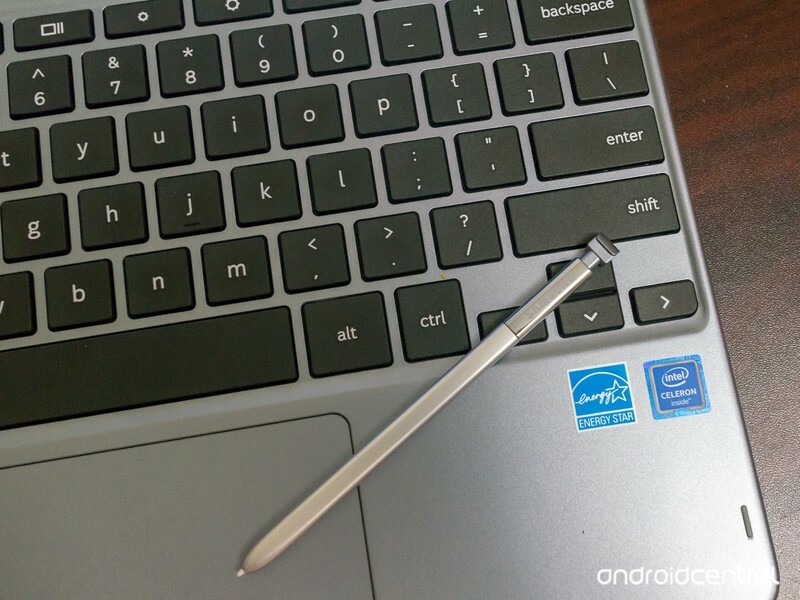 It’s a fine chip for a consumer Chromebook and will handle everything you would ask of it. It will also support those “special projects” Google like to throw out for Chrome OS every now and again. The 12.3-inch 2400 x 1600 3:2 LCD of the 2017 Chromebook Plus is nowhere to be found. Instead, we see an equally impressive but much lower resolution 1920×1080 LCD. There are two things we’ll miss — the first is the gorgeous look of a high-density LCD, and the second is the 3:2 aspect ratio which is perfect for both the web and viewing photos. The panel is still in production, as the Chromebook Pro and Pixelbook from Google both use the very same part. It’s just been omitted from the more consumer-priced Plus model. That’s a choice we don’t have to like but should understand as we see prices continue to rise on any and everything electronic. The display will be scaled to a 1200 x 750 resolution out of the box but supports a screen scaling of 1920 x 1200. Yes, it’s a 1080p panel but we’re talking about software scaling, which is what Chrome does to make things look the best they can. It’s not a new idea, as DSR and downsampling have been around since we first saw HD content, but it can be confusing. You don’t have to care about any of this as out of the box the display looks fantastic and stands tall beside any other 1080p screen you’ll see. Also, the specs list the aspect ratio at 16:10 but hardware does not lie — there is a 16:9 1920 x 1080 resolution LCD in the lid. 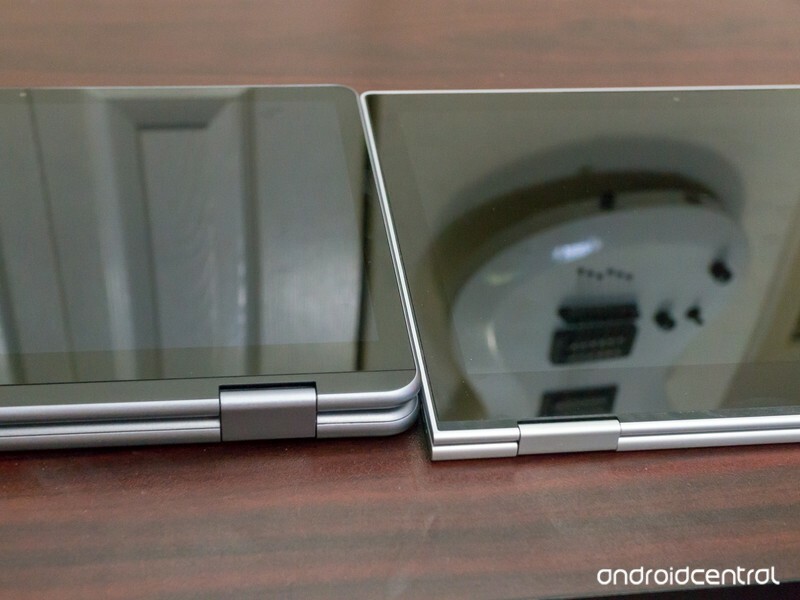 It’s possible the treatment for the bezels is what makes the change. A great build and excellent LCD can help a Chromebook stand out from the crowd, but when you want to move up to a more premium price these two things are almost a neccessity. Here’s hoping we see a mid-year Chromebook Plus (v2.5). 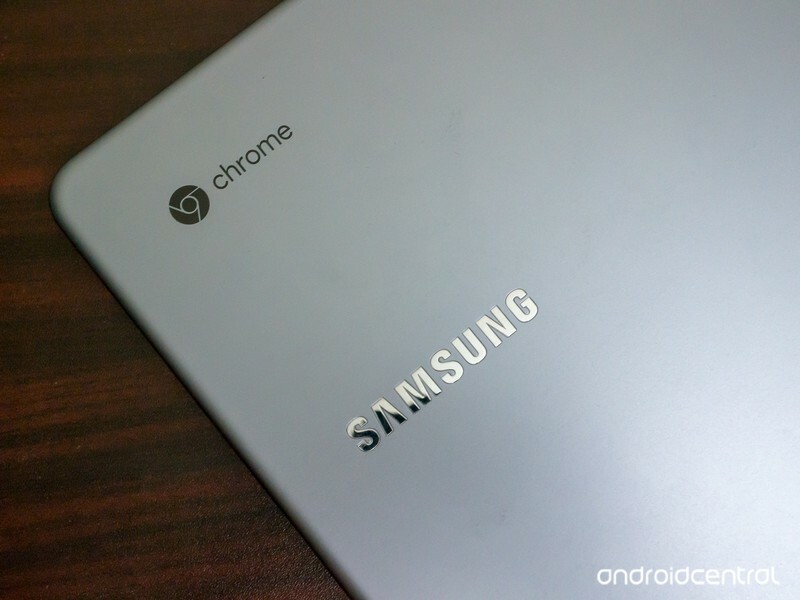 Chrome OS is the same on every single device you can buy that officially ships with the operating system. That’s a good thing and a must for a multi-purpose device like a laptop. The same way you know Windows or macOS will be the same on every laptop you touch, you’ll know Chrome is, too. There can be additions, like Pen support or a dedicated Google Assistant button, but the base system an user-facing software will always be the same. 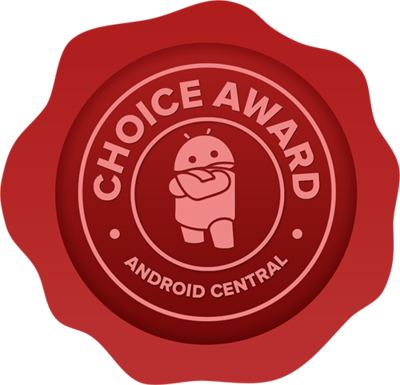 In 2018, that means Android apps through Google Play in addition to Chome Web Store content. This isn’t done through any sort of emulator: The Android app framework runs in its entirety inside a separate container as a native part of the OS. App support is a mixed bag, though you’ll find that most things non-cosmetic will install and work. The nagging problem with Android apps on a Chromebook is just the same nagging problem tablets have had with Android since their inception. Simply put, Android allows an app to run even if it will look ugly and even be partially non-functional because of resolution or screen size. Having an app work and having an app work well are two different things. You’ll find that the apps at the top of the charts work and look much better than I’m describing, though. Don’t be afraid to install any app and try it, just don’t be afraid to delete it and try another if it’s not great. The keyboard is good. It’s not the best keyboard you’ll ever use, but it won’t make you wish it were better. You’ll think the display is great when you see it. It’s not as glorious as the 2017 model, but it’s better than almost every other Chromebook out there. The Chromebook Plus is a great middle ground between the entry-level models and the high-end. 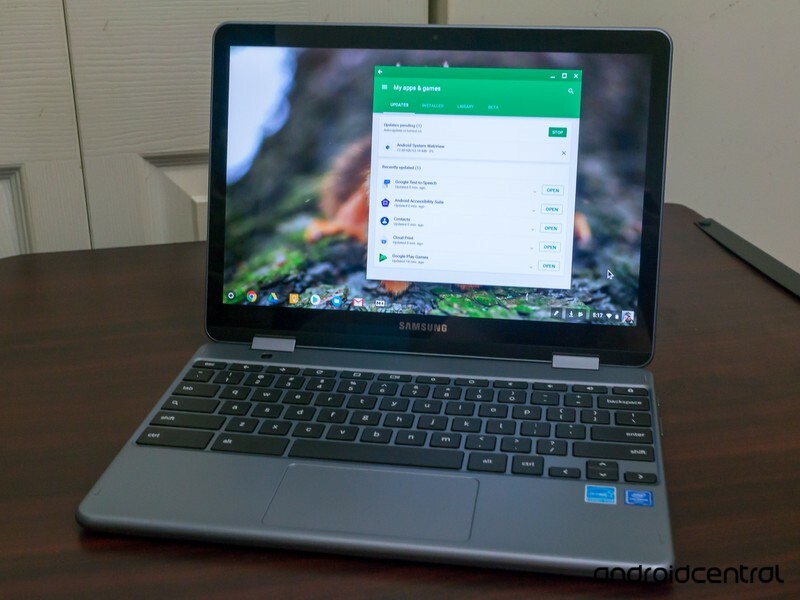 It’s great for anyone who wants something better than average but doesn’t need to buy a Chromebook that costs $700 or more. The pricing reflects this, and, as written, you would pay $499 for the Chromebook Plus (V2). I think it’s worth it. 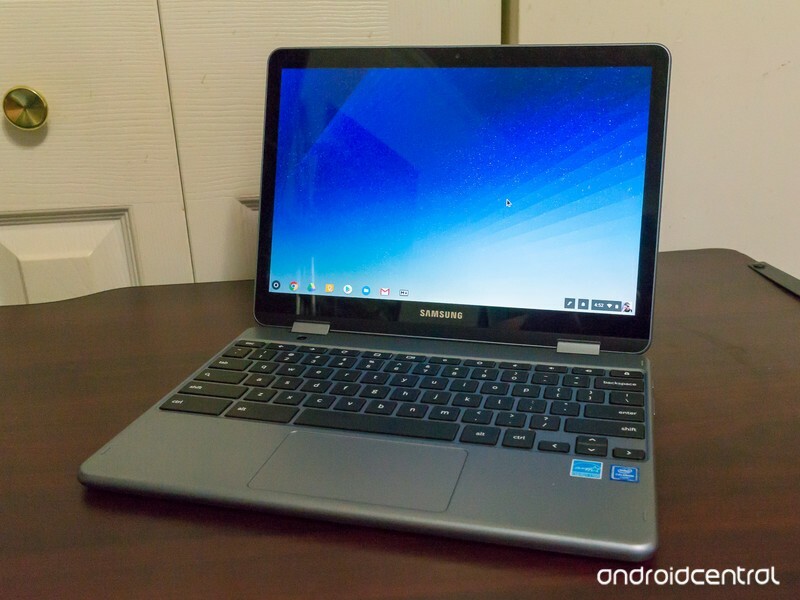 This isn’t a Chromebook you would buy for the kids or treat as disposable. 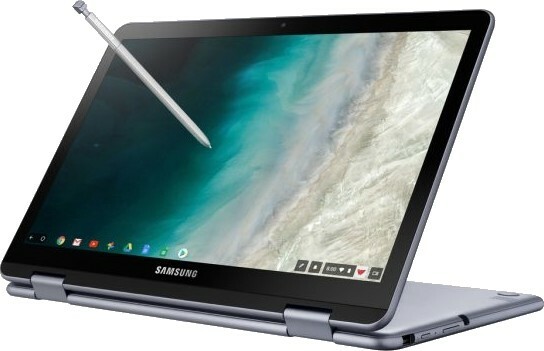 It’s a premium-feeling Chromebook, which is what a lot of users want and has a premium-feeling price tag that most of us don’t. But pound for pound, the Chromebook Plus (V2) is still one of the best Chromebooks you can buy in 2018. For someone who wants a no-fuss model that is dependable, looks and feels great, and will support Chrome for six more years at a minimum, it’s the right buy. For enthusiasts, though, it might not be. Don’t buy the original 2017 Chromebook Plus unless you see it at a great price. The display, plus double the storage and keyboard backlighting, is available on the current Chromebook Pro for $100 – $150 more. You’ll be using a slightly older but more powerful Intel processor which means less battery life, but as an enthusiast, you probably wanted that anyway. Other models like the HP X2 can also be had for $100-$200 more. In the end, this is the Chromebook that I will recommend to anyone who wants something a little “more” than a basic model. I think I’ll be steering people the right direction as this is a Chromebook I could use every day and have no complaints. We’re well past the point of no return when it comes to removing headphone jacks from smartphones. High-end phones, in particular, have dropped the headphone jack as quickly as companies could get enough consumer research to show that it wouldn’t materially affect buying decisions. This has boosted an already-strong market for Bluetooth headphones of all shapes and sizes, as USB-C audio just hasn’t taken off and people would rather go wireless than deal with a bunch of dongles. Bottom line: For just $69, which is only a little more than you’ll spend on a solid pair of wired earbuds, the Bullets Wireless are a great pair of Bluetooth headphones that work well with any phone and provide great value without trying to woo you with advanced features and tricks. 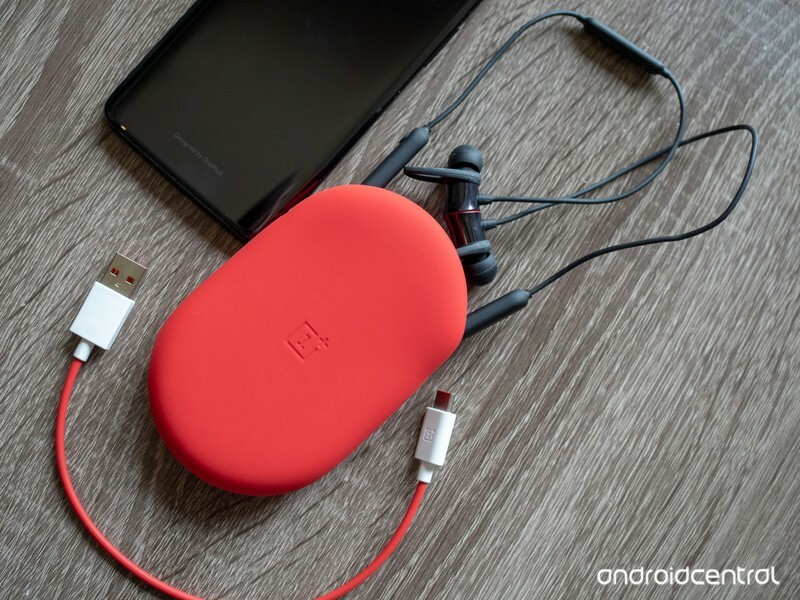 If you’ve had a OnePlus phone or any of its accessories like chargers or wired headphones, you know what you’re getting into when it comes to the Bullets Wireless. These are simple and well-made from end to end, with quality higher than the price would suggest — from a hardware perspective, I wouldn’t balk if OnePlus had set the price at $89. OnePlus went with a modified neckbud design in that the Bullets Wireless don’t have a hard or fixed neck ring. It’s easily flexible, meaning it can expand and contract to fit around a large or small neck, or even around the collar of your jacket. It’s also very light, and the soft touch rubberized coating doesn’t get hung up on clothing or hair. The earbud cords don’t retract like some neckbud models from LG, but they’re long enough that your ears are never supporting the weight of the neck portion of the headphones — at the same time, they aren’t long enough to swing around and be annoying. As a result, the Bullets Wireless are very comfortable to wear. 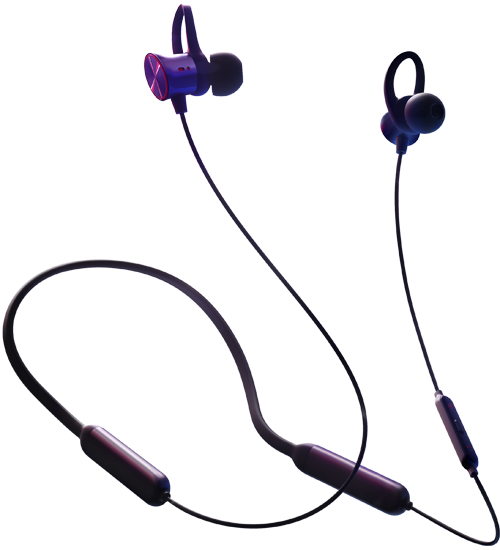 The earbuds themselves are rather basic — they have a standard design to go in your ear, and they’re left/right ergonomic with a curve to better fit. There’s also a rubberized loop portion designed to help keep the earbud positioned in your ear and not yank out, but this is entirely removable if you don’t feel like you need the extra in-ear security. You get three sets of tips and loops, and once you go through the familiar guess-and-check method of finding the right combination, they feel fine. The fact that the earbuds are super small and light means there aren’t any bad pressure points, at least in my ears, but the earbud tips aren’t anything special — just generic rubberized material, and the only part of the experience that feels a bit on the cheap side. OnePlus talks about some sort of “Energy Tube” for better sound, and I can’t really speak to the physics of all that. But I can say the earbuds sound really good. I didn’t experience any distortion problems with high volume or lots of bass. It’s clear to me that the 9.2 mm drivers are more capable than the quality of music you’re going to be sending them over a Bluetooth connection, though the aptX audio tries to give you as much wireless quality as possible. Oh, and that connection was always solid — I didn’t experience any unexpected cutouts or dropped connections. There’s a regular in-line remote on the left earbud wire with dedicated volume up/down buttons and a play/pause button. You can do a press-and-hold on the center button to invoke Google Assistant (just like any other headphones), or do a quick double-press to skip tracks. After using touch-controlled earbuds recently, it’s so refreshing to be able to just reach up and press a button, without a second thought, to change the volume or pause. And if you don’t want to even do that much, you can simply pull the earbuds out and snap them together. Soon as they get close, magnets in the back of the earbuds pull them together — that pauses your music and disconnects the earbuds. Separate them again, and they’ll re-connect to the last device you were using. There’s a power/pairing button along the left side of the neck, but it’s almost never necessary since the earbuds are always on and ready to go when you disconnect their magnets. OnePlus quotes 8 hours of battery life for audio or 10.5 hours for calls, which matches my observations. That’s probably fine for most people in real-world use but will seem low if you’re used to larger neckbuds or over-ear headphones that offer 15 to 25 hours of listening. Unless you’re a heavy user you’ll probably be recharging these things every couple days, and it’s a painless experience because they use USB-C — you get a short cable in the box, but you can use any one you can get your hands on. And with just a 10 minute charge, the tiny batteries inside give you up to 5 hours of battery life again — easily assuaging your battery anxiety. As a slight counterpoint to all of that simple design discussion, one could argue that people often use headphones as a fashion statement or an extension of their personal style, and the Bullets Wireless do basically nothing in this respect. They’re simple and all black save for a small red ring around the earbud. You could mistake these for any other generic pair of Bluetooth headphones you bought on Amazon for $25 from a random company you’ve never heard of. 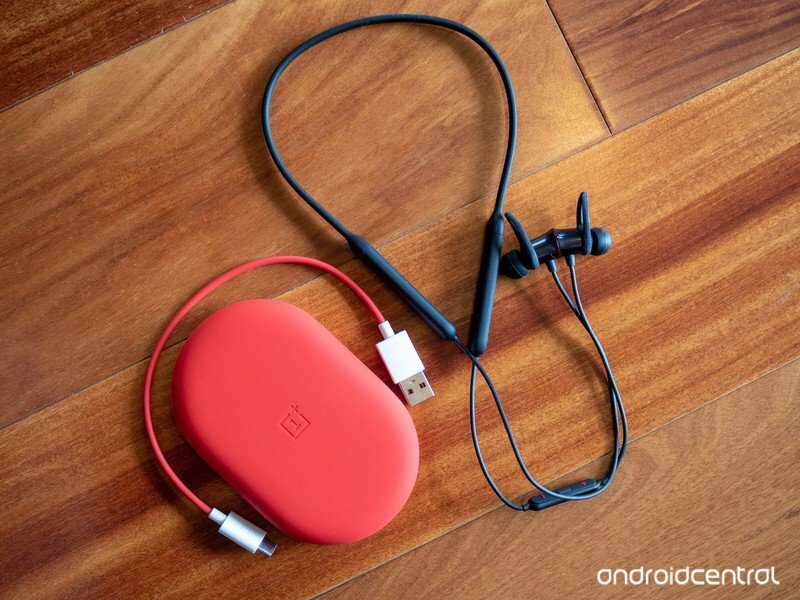 OnePlus interestingly didn’t even put its logo on the typical spot of the earbud endcaps, only putting a light grey printed logo on the left side of the neckbud and an embossed logo on the carrying case. The design isn’t particularly unique or eye-catching, and that case sure is dopey looking. The included silicone carrying case definitely stands out, being bright red and all, but the case is otherwise a little funky to me. It’s a good way to wrap up the earbuds and the included charging cable when you won’t be using them for a while and want to keep them safe in a bag, but it’s too big to be a daily-carry case and provides no other function. There’s no separate pouch for replacement earbud tips or loops, and the case lid simply closes with one magnet rather than some sort of seal or zipper — so it doesn’t keep dust or water out. 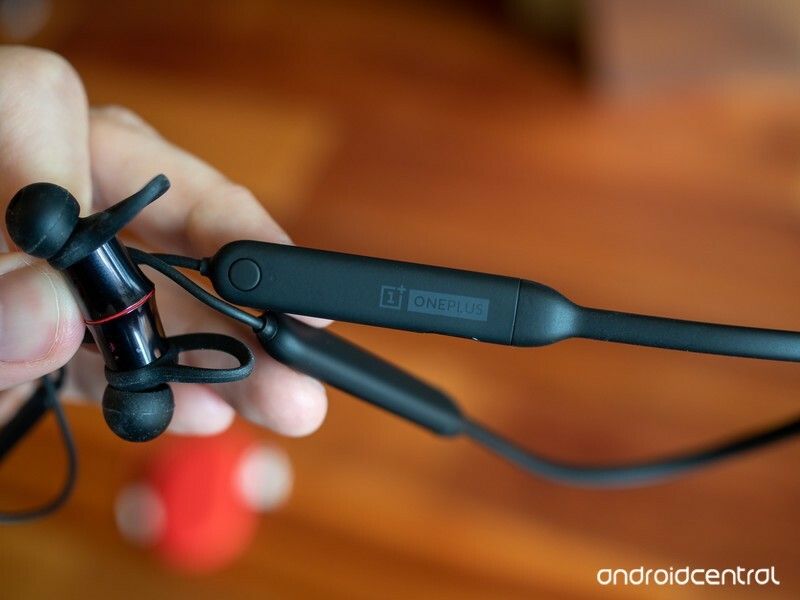 I shouldn’t be entirely surprised considering this is OnePlus we’re talking about here, but I’m slightly upset that the Bullets Wireless aren’t properly waterproof. Like the OnePlus 6 they’re merely splash-resistant, which means you’ll have no issues sweating all over them but you shouldn’t ever submerge them in water. While you somewhat understand not having an IP67 rating on a phone that has lots of components, it seems like a relatively trivial manner to get a real waterproof rating on something as simple as a pair of headphones. Not because I want to swim with my Bullets Wireless, but because I never want to have to worry about getting them too wet. Lacking Google’s ‘Fast Pair’ system is an odd omission. OnePlus touts the ability of the Bullets Wireless to auto-pair with modern OnePlus phones, which is neat, but that functionality unfortunately doesn’t extend to any other phone. It would’ve been great if OnePlus simply went with Google’s “Fast Pair” pairing system that’s compatible with almost all modern Android phones, and accomplishes the same goal. Aside from this restriction there’s nothing else proprietary about the Bullets Wireless, and they’re a great to use with any phone — why not keep the whole thing open? A small negative mark on what’s otherwise a great no-nonsense experience. 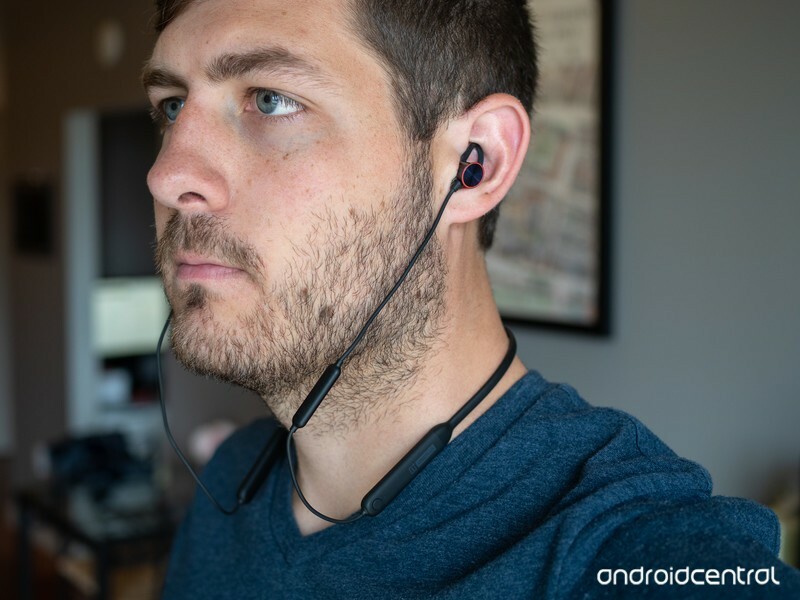 For me, reviewing the Bullets Wireless is an interesting juxtaposition to the review of the Google Pixel Buds I just finished. At $69, the Bullets Wireless are less than half the price of the Pixel Buds, and in dropping the price have stripped away the “advanced” part of the equation — there are normal physical controls, a regular charging system, no fancy headline-grabbing features or any extra nonsense. But actually, that’s a good thing. With the Bullets Wireless, every dollar you spend goes toward the things you actually care about with a pair of Bluetooth headphones: quality sound, simple design, good comfort and basic features executed properly. Sure the carrying case is a little dopey and they’re just splash-resistant, but those are small negatives compared to all of the advantages they have over both the super-cheap and high-end competition. For just $69, which is only a little more than you’ll spend on a solid pair of wired earbuds, the Bullets Wireless are a great pair of Bluetooth headphones that work well with any phone and provide great value without trying to woo you with advanced features and tricks.